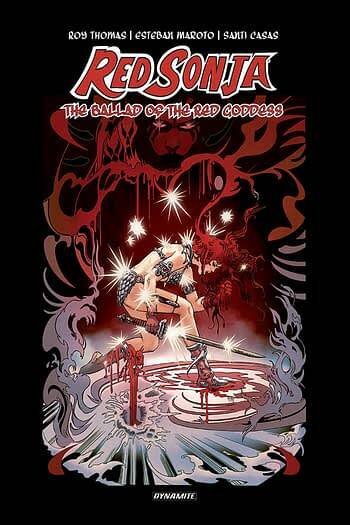 Dynamite is to publish Roy Thomas‘s original graphic novel Red Sonja: The Ballad of the Red Goddess, in English. 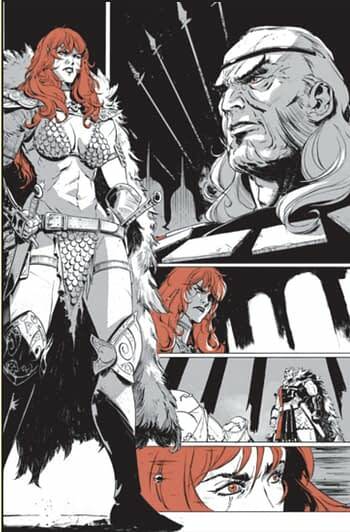 Co-published with Spanish publisher Planeta, teases the very origins of Sonja by Conan legendary writer Roy Thomas as well as a European artists Esteban Moroto and Santi Casas. 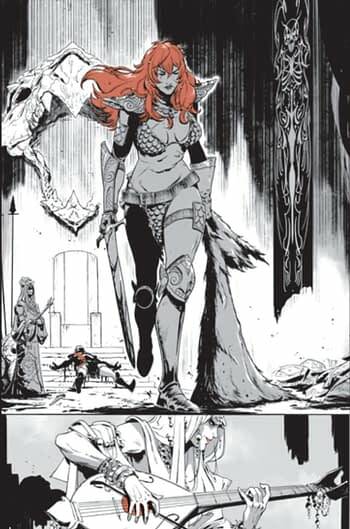 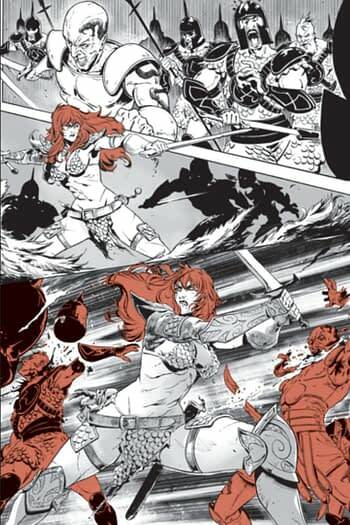 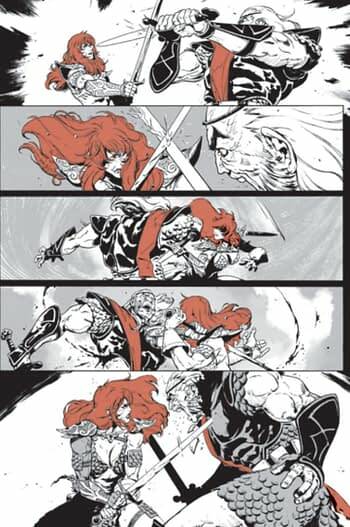 Red Sonja: The Ballad of the Red Goddess will be published as an oversized hardcover featuring black, white and red throughout in a European format. Never before seen in English, this original graphic novel is an all-new tale, lost from the Nemedian Chronicles – until now. In addition to the standard hardcover edition, a limited signature edition of Red Sonja: The Ballad of the Red Goddess will be available for fans signed by Roy Thomas. 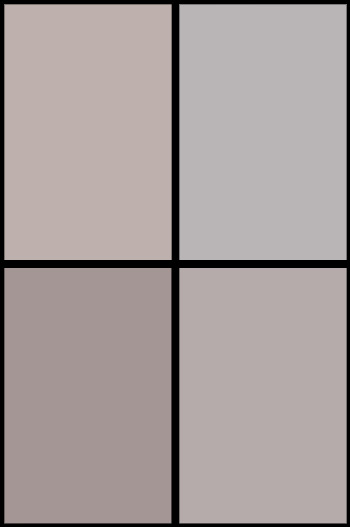 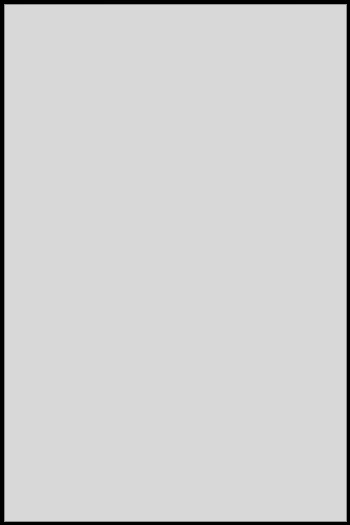 Only 500 copies of this edition will be produced.